If you’ve wondered if you’ll ever stop living paycheck to paycheck, you’re not alone. It’s is a stressful way to live, and believe it or not, almost 80% of people do. If you’re barely scraping by each month, and saving money is out of the question, there is way to break the cycle and move past that. 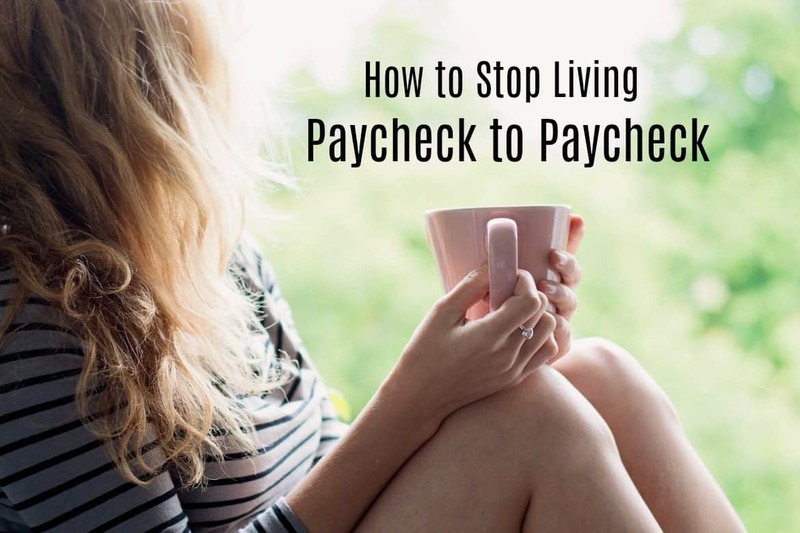 We’ve all heard living paycheck to paycheck stories, and the reality is, that most people never stop living paycheck to paycheck their entire career. So will this be easy? Maybe not, but it’s easier than juggling bills for decades, and letting life pass you by because you can’t afford to do anything. The advisor was trying to get her to verbalize her personal goals. He knew that whatever he proposes, is only half of the equation. She needs her own motivation. Something to focus on that’ll help with almost any money decision – spending, saving or paying off debt. Where do you want your life to be in the next five years? Once you identify one main goal for yourself, money decisions will be easier. Whether it’s the home you live in, the things you buy for it, your social life, your income, and even the food you shop for. Everything will be weighed against your goal. If it doesn’t, your decision will be easy. You won’t be saying yes to everything that comes your way, and you won’t feel bad about it. The steps below are mostly logistical. But having the right frame of mind might be the most important. Your net worth is: Total Assets – Total Liabilities = Net Worth. Your Turn. What’s Worked in Your Effort to Stop Living Paycheck to Paycheck? If you were lost in the city and called your friend for directions, the first thing they’d ask is, “where are you now”? So to get where you want to go, let’s figure out where you are now. Grab a notebook, a laptop, or whatever you’ll be able to save this info on. You’ll want to refer to it each month. The clearest indication of your financial health, is your net worth. It’s just the combined value of what you own (assets), minus what you owe (debt). There’s a good chance your net worth is negative now. But don’t worry. The important thing is that you’re making the effort to know it, and with a little effort you’ll begin to turn it around pretty quickly. Do you own a home? Check on Zillow to get a quick estimate. Do you own a car? Kelly Blue Book can give you it’s approximate value. What other assets do you own? Jot down their approximate value. What’s the total of your assets? Figuring out your liabilities is pretty easy. It’s just the total of what you owe. Total each credit card balance. The total of your student loans, if any. The amount you owe on your mortgage, personal loans or car loans. What are your total liabilities? Figuring out your net worth in Step 1 is like a temperature check of your overall health. But knowing your financial health is one thing. Changing is another. We need to find out exactly why you’re living paycheck to paycheck. We’ll see how much money is coming in, and where every dollar is going. So we need to drill down deeper. We need a budget. A budget gets a bad name because it implies a restriction on your life. But it’s really just a tool to show where your money’s going. Your goals are probably within reach, but not if you’re reaching for everything that comes your way. We can’t start to weed out what’s not necessary until we see where every dollar is going. But once we do, a budget starts to provide freedom, not restrictions. Transportation (gas, tolls, repairs, registrations). Food (groceries, take-out, restaurants, work lunches, convenience stores). Getting this in writing is an eye-opening step. But it’ll start answering the question, “why am I always broke?”. Am I really spending that much on cable and cell phones? I had no idea I was spending that much on food each month. How can I cut back? How can I reduce my auto or home owner’s insurance? Clothing and household expenses really add up. How can I reduce them? Debt – car and student loans, credit cards are weighing me down. How can I eliminate them as quick as possible? The first time you write a budget is not a very pleasant experience. It might be downright scary. But the important thing is that you’re doing something about it. Each month after this, it’ll get easier and if you do it consistently, you will see results. It might seem odd starting to save money for anything while you’re still trying to pay off credit cards. One of the main reasons people never rise above paycheck to paycheck life, is because as soon as they get a few bucks together, an emergency hits. 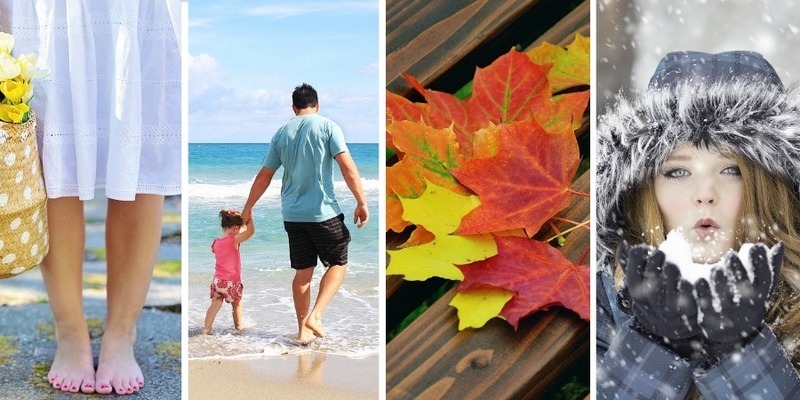 A car repair, a medical expense, or something unexpected sets you back again. For many people, the only solution is to either take money from another bill, or put it on a charge card. You can’t keep charging things and adding to your debt. That’s a big part of the problem. We’re trying to eliminate debt. And you can’t blow your budget every time an unexpected bill comes. Because they always will. The suggested amount to save in an emergency fund is six months of your salary. But if you’re living paycheck to paycheck now, just shoot for $1000. Having $1000 set aside just for emergencies should cover most things that come up. You can’t afford a regular $25 or $50 contribution. You don’t have the discipline, or you don’t remember to make a regular contribution. Once you install Digit, it will monitor your checking account and ‘learn’ your pattern of deposits and withdrawals. Then every few days, but only when it sees you have the money, it will transfer a small amount to your emergency account. To be honest, I was amazed at how soon I had $1000 in there. And what a relief to be able to pay for an emergency without having it affect my checking account at all. In fact, as I’m typing this, our old Honda, the one I’m trying to keep on the road as long as possible, is in the shop. The owner just called awhile ago and told me it’s gonna cost about $470 later today. So, I checked my Digit balance just by typing “Savings“. It shows I have $1126.98 in my Digit account as of today. 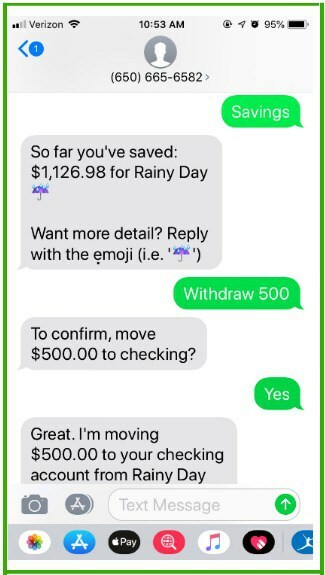 I withdrew $500 just by texting, “Withdraw 500“, and Digit responded by confirming, then transferred it to my checking account. Just two simple texts, and when I pick up the car today, not one dime will come out of my budgeted money. Digit texts me every morning with my checking account balance and how much it’s changed from yesterday. If I want to see the recent transactions to hit my account, I just reply with “Recent“. For me, Digit is a life saver, because I had gone my entire life paying for emergencies as they come up and then trying to juggle bills around. A big part of getting out of paycheck to paycheck mode is to have a predictable budget each month. The only way to do that is to have separate cash for emergencies. The Digit app is free to install, then after 100 days of using it, they’ll take $2.99 each month from your account. But for me, the peace of mind, and my ability to pay for multiple emergencies over the past year, has been well worth the price of one coffee each month. Part of assessing where we are financially, is knowing where we are in the eyes of credit reporting agencies. We may think we’re reliable bill payers, but everyone misses a beat here and there. There are three main credit reporting agencies, Experian, Trans Union and Equifax. Almost all merchants report your payment history and your credit limits to at least one of these agencies. They can supply two pieces of information. A summary of your creditors, and your credit score. The score will be a number between 300-850. Anything above 750 is considered excellent. If you’re falling below 700 then you’ve probably got some late payments or are carrying too much debt in their eyes. The agencies also have formulas regarding your debt. The ratio of the credit available to you, compared to how much you’re currently using is a big factor in your score. Generally, you should try not to use more than 30% of your available credit. They’ll rate you lower if they consider you over-extended with credit. So you need to consider each card, and your over all credit. If you have several credit cards, all with different limits, it’s easy to lose track of the ratio of your available credit to the credit you’re actually using. But you’ll be able to determine that from your credit report. 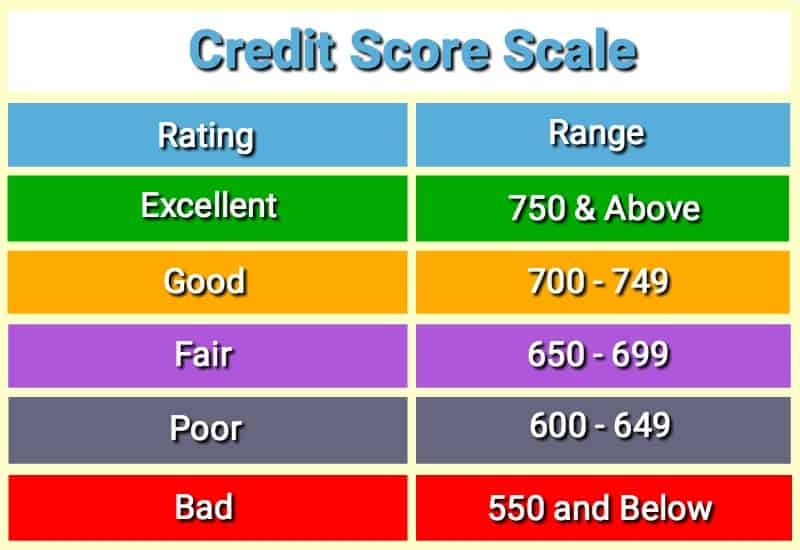 Knowing your credit score is important because it will bite you when you least expect it. If you’re applying for a car loan or a mortgage, you don’t want the salesperson across from you saying, “sorry we could have given you the lower rate but your credit isn’t good enough”. That translates into higher payments. Or worse, a rejection. You also may see accounts on your credit report that you didn’t even realize you still had open. So you’ll be able to close whatever accounts you no longer use. You can get one free credit report per year at AnnualCreditReport.com . The one downside of Annual Credit Report, is that they’ll give you a summary of your credit payment history, but they don’t give you your actual credit score unless you pay them. Because of that, I use Credit Sesame because they give a similar summary of my credit history, but they also give my credit score. It’s no charge. I don’t need to provide any credit card number at all. They’ll also provide free credit counseling if you choose it. Like creating a budget, getting your credit report and your score, is all about getting the information you need to improve your situation. One of the biggest obstacles to stop living paycheck to paycheck, is getting so far in debt that you can only afford minimum payments. So you’re working just to pay off debt. It prevents you from enjoying things like travel, improving your home or having a social life. But more important, when a huge chunk of your income is going toward debt, that means it’s not going toward your future. 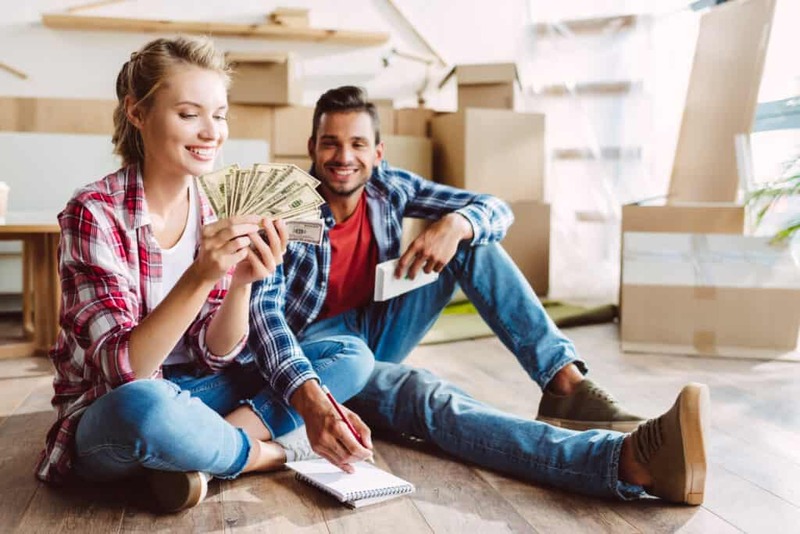 Your money could be working for you in the form of an IRA, a college fund, a health savings account or an emergency fund. If you haven’t done Step 1 and Step 2 above, then you have no system to know what you can, or can’t afford. When don’t have a plan for the next five years or so, there’s nothing you can hold up and say, “No, I’m not spending money on that anymore, because I’m saving for this“. It’s much easier when you have a personal goal. It’s easy to mis-judge the time we have. Life goes by quicker than we realize. And funneling a big part of your income to credit card debt over the course of a couple decades is one of the worst money mistakes you can make. The money going to car payments, furniture, clothes etc is literally borrowing money from your later years. The ones when you’ll have no income. Eliminating debt isn’t easy because it means making some changes in your lifestyle. But establishing some kind of personal goal will make it easier, because you’ll begin to align your spending with what you value. First, make sure your partner and you are on the same page. You need to be moving in the same direction. Once you make the decision to eliminate your debt, no more charging. For anything. I like Dave Ramsey’s snowball method of paying off debt. Make minimum payments on all except your smallest debt. For the smallest debt, pay everything you can to pay it off quickly. When that’s paid off, take the money you were paying towards the smallest debt and add it to the minimum payment on the second debt. The idea is to create momentum. Pay off the smallest quickly, gain a victory and then roll that money toward the second debt. And if two cards have pretty close balances, pay off the higher interest one first. Don’t assume you can only make one payment a month. If you’re paid every two weeks, why not make an extra payment electronically. It’ll reduce that much quicker. Be creative. You don’t have to wait for payday to make a payment. What do you have around the house that you can sell and make a large payment – sports equipment, electronics, books? Once you do pay off your debt, order another credit report and make sure it’s reflected there also. Consider a balance transfer to a lower rate card. But be sure to throw every available cent at the debt if the introductory rate will expire. Working full-time at anything is hard. There’s only so many hours in a day, and when you come home exhausted, it’s tough to think about working even more hours. But if you’ve written out your budget, you’ll know whether it’s a matter of scaling back, or you’re seriously in the red. And if you can only afford the minimum payment on your credit cards or loans, how long will it take you to eliminate them? Think about that. If you’re making minimum payments, and it’s going to take 6 or 7 years to pay down, what’s the opportunity cost? What are you missing out on every month? Suppose you’re paying $300/month for the next 7 years on debt. If you were to invest the same money at 7% interest, you’d have over $32,400. Remember, the toughest part of investing, is getting that first $100,000. Once you do, compound interest makes each successive hundred thousand take less time. But the point is, you don’t have a decade to write checks to credit companies. 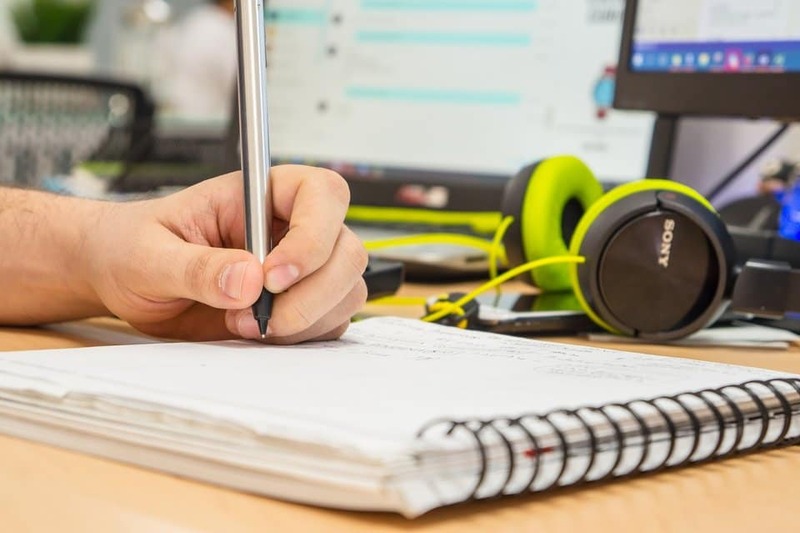 So, depending on your situation now, the effort you put into a side hustle – even for a year or two, might be worth a lot more than the actual income. All the other steps lead here. You want to be able to walk away from work while you’re still healthy enough to enjoy at least a few decades. Living paycheck to paycheck not only lowers your quality of life now, but seriously affects your life later. Remember, you can finance a lot of things in life, but not your retirement. So if you’re living paycheck to paycheck with no savings, it’s critical to use simple tools like a budget to sort out what you can and can’t afford. The sooner you can do that, the sooner you can max out your retirement fund. The amount you contribute to your retirement fund will depend on your age and how much you already have invested. If you can afford to have 15% direct deposited, that’s a good target amount, but more would be better. If you can’t afford it yet, try to work up to it. Increase your contribution each time your income increases, or your debt lowers. How should you invest it? If your employer has a savings plan available, see what options the plan offers. 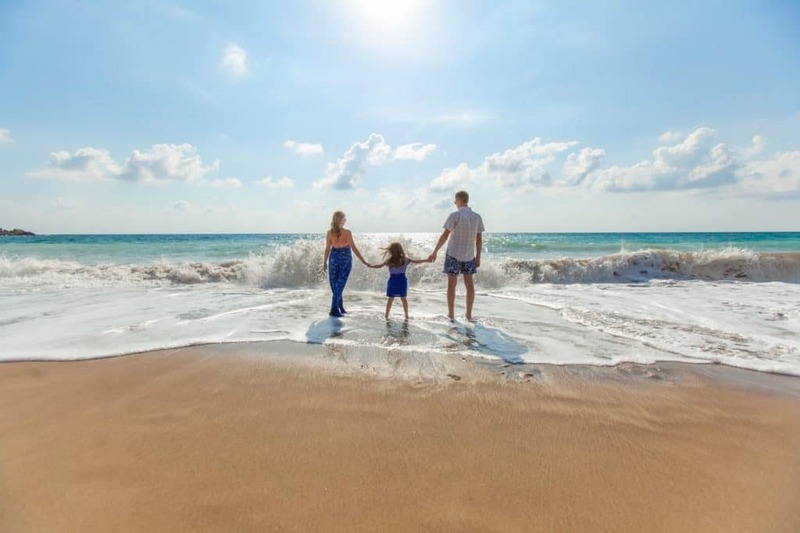 Many employers offer both a 401k and a Roth IRA. If the employer offers to match your contributions in the 401k, then contribute at least that amount, and then put the rest into a Roth IRA. For instance, if your employer offers to match your contributions with fifty cents for every dollar you contribute, up to 6%, then contribute 6% and they’ll kick in 3%. Right off the bat, you’re getting a 50% return on your money! How can you leave that on the table? Then if you can afford another 9-10%, put that into a Roth. The attraction of the Roth is that you’ll be contributing after-tax dollars so when you withdraw the money later, you won’t owe any tax on the income. If you can’t afford a certain percentage, work your way up to it but the important thing is to get the account opened. Waiting until you’re in your 40’s or 50’s will mean a difference of hundreds of thousands of dollars. Literally. How Can You Tell How Much You’ll Need? One method to get an idea is to use the 4% rule. The idea is that for whatever amount you have saved, you can afford to withdraw 4% per year without draining your fund. Suppose you have $800,000 saved for your retirement. If you withdraw 4% the first year of your retirement, that’s $32,000. Now combine that with any other retirement income you’ll have, like Social Security or any pension. Will the total amount be enough to live on? If it’s not at least 75% of your working wages, then you’ll need to fine-tune your plan. Either try to save more, increase your income or adjust your retirement plans so you’ll be able to live within your means. Note: If you haven’t already, it’s a good idea to contact Social Security and get an estimate of your earnings. They’ll give you projections depending on your retirement age. This is key information to help you plan accurately. Documenting your situation now. Knowing your income, fixed expenses and where the rest of it is going. Once you know the numbers, make the choice whether to increase your income or change your lifestyle. Or both. The object is to put yourself in a position to save, as soon as possible. Think about, and establish a personal goal. That’s the motivation you’ll use to make every single money decision. Don’t underestimate yourself. It’s easy to feel depressed when you’re living paycheck to paycheck. We want things to happen quickly, but depending on your situation, it could take several years to turn things around. But look back two or three years. It probably doesn’t seem that long ago. You can do this! Thank for this very informative post. Living paycheck to paycheck can be very stressful. Your post answers a lot of questions regarding saving up and the tips are definitely helpful!